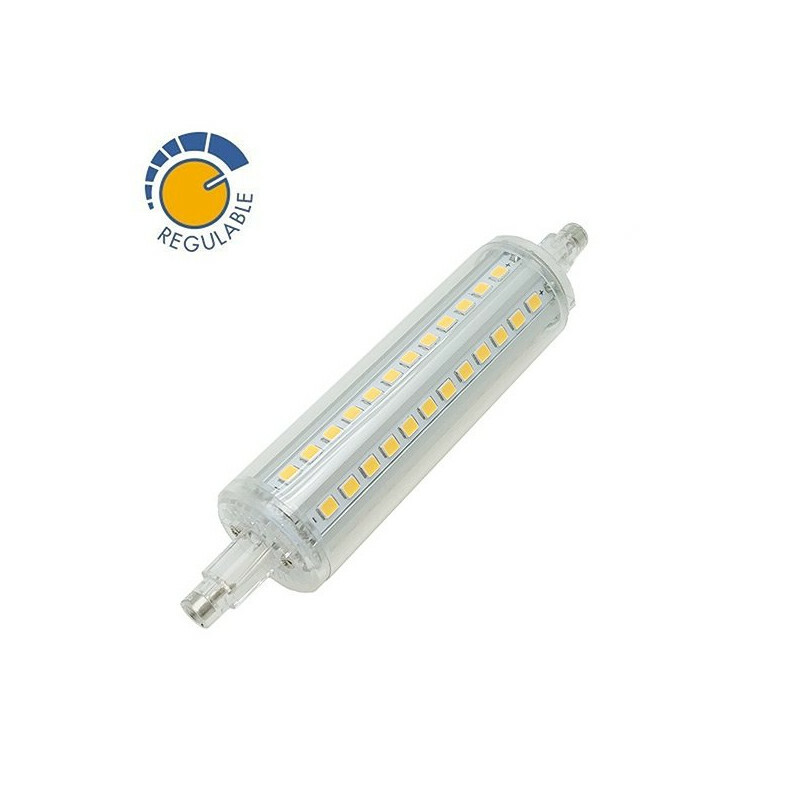 R7s LED Linear dimmable Light bulb. 10W, 360º. 118mm. 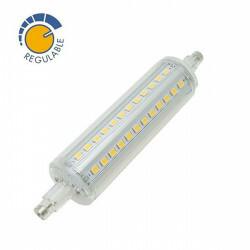 R7S dimmable 10W LED lamp, warm white light 1000 lumens. Traditional halogen bulb replacement. 10W lamp, a replacement for halogen lamps of up to 80W.